There’s no shortage of truly Texan items or brands that excite folks around the state. Up there with the National Beer of Texas and the grocery store where Everything’s Better is that place that provides “honey-buttered chicken blessings:” Whataburger. The fast food titan, born in Corpus Christi, means so much to Texans that an ode was written to it by acclaimed slam poet Amir Safi. Safi recently performed “An Ode to Whataburger” at the Texas Grand Slam Poetry Festival — which he cofounded — in Bryan-College Station. The piece set off a frenzy on social media and even inspired Whataburger to post a poem in honor of Safi himself. Safi tells the Standard about how a food-themed open mic he hosted for Write About Now Poetry inspired the ode. “The best birthday present I get every year is a telephone call from my grandmother. I remember walking with her through department stores as people would stare. I remember getting very angry because I was taught it was impolite to stare. I was taught that was not the purpose of a hijab. Unless it can be conveniently concealed under their shirt. Maybe if people don’t stare then God won’t either. 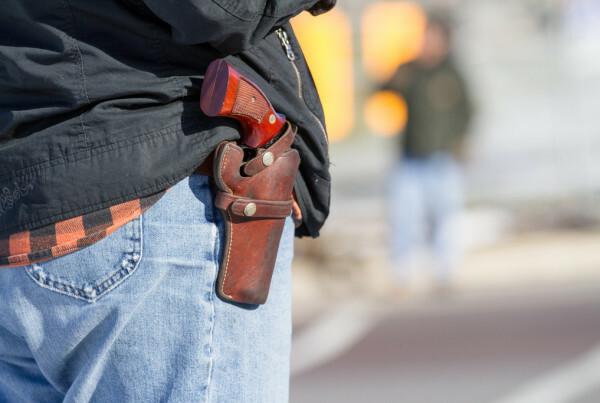 Are You Going to Open Carry in the New Year?